One afternoon a few years back, my little assistant was standing nearby while I was preparing one of my favorite go-to snacks. 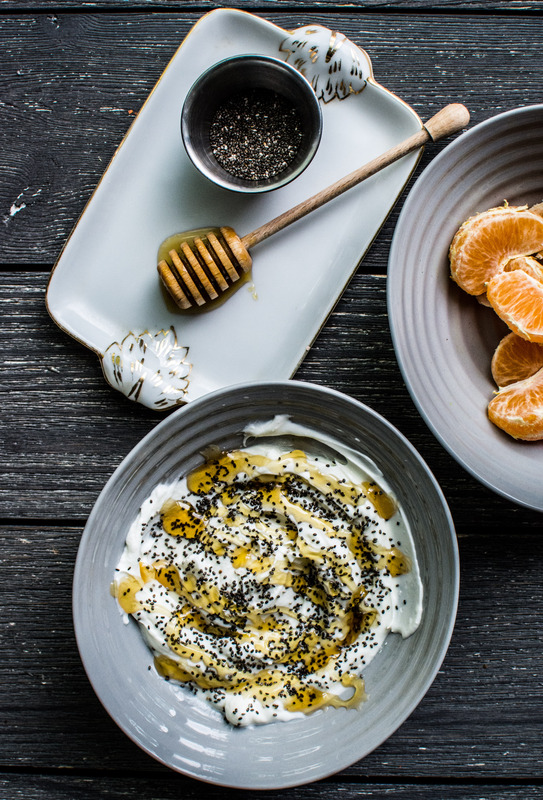 Greek yogurt, honey and chia seeds. 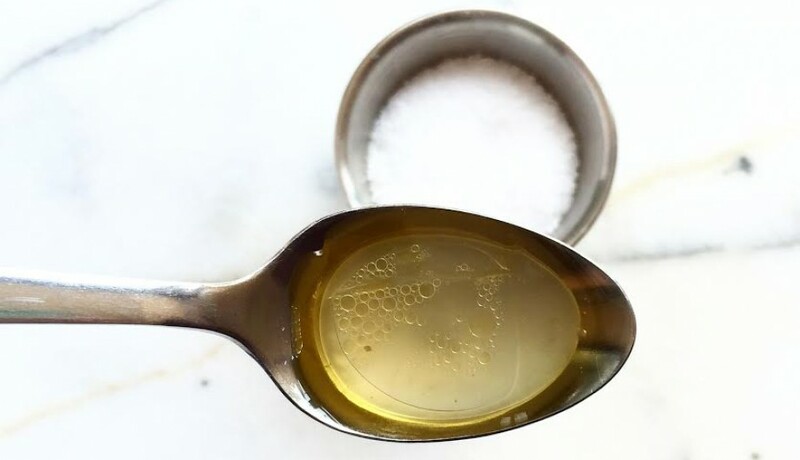 It’s a recipe that is healthy, quick and filling. To sweeten each bite, I typically add whatever fruit happens to be in my fridge. While I was about to dig in, I noticed her little eyes watching and heard her tummy grumbling. “Oh mama, you are eating black sprinkles! I want some!” From that point on chia seeds to my children became known as black sprinkles. I felt like a door of food opportunity had opened with this nickname. When my daughter, who is the pickiest eater of A Pleasant Little Kitchen, was eager to grab a spoon and dig in with me, I was elated. To keep her engaged I grabbed one of her favorite fruits: mandarins. I knew the fruit would make this meal even more exciting. The black sprinkles and the orange vessel became the highlight of the snack. The more we made the recipe, the more I realized that it is a kid friendly meal all around. I scoop the yogurt and prep the other ingredients. Her little paws however get to pour the chia seeds, add the honey and stir. Children take ownership and pride in a meal they make AND they tend to eat it willingly (and with a smile) because they made it. This concept in general applies to many areas of a child’s world. If they find ownership, they get excited. I appreciate that my local grocer, Market Street, recognizes this aspect of children too. A part of their Rewards Program is a Kids Club to help children get excited about food, cooking and eating healthy. This week while foraging in the produce section my little bundles of joy spotted the kids club sign, made a whoop of excitement and grabbed their free fruit. Apple for her, banana for him. However, something was new. Not only was just a single serving of fruit available, but it dawned on me that each month there was a highlighted fruit that was free to take home. 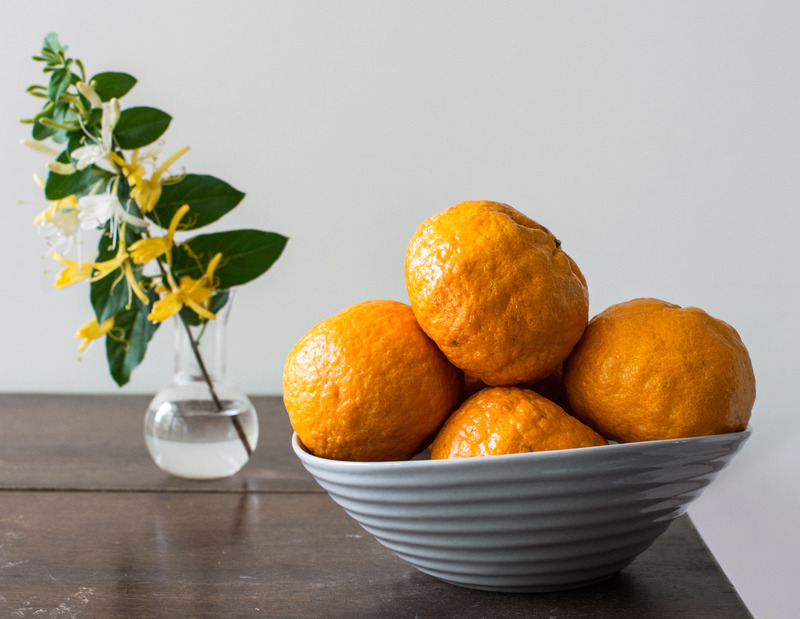 It so happened that Golden Nugget Mandarins were the Adventure Fruit of the month. 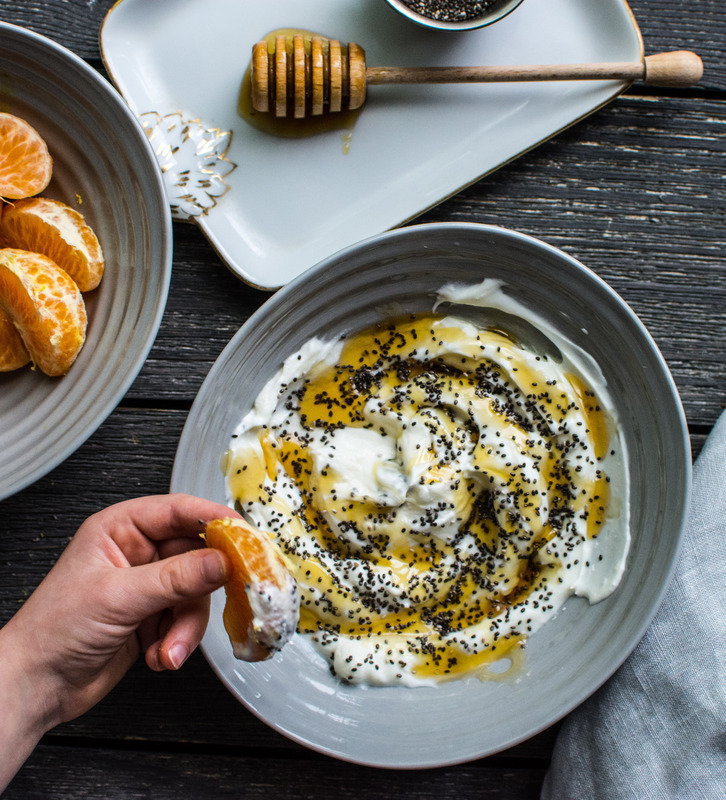 I loaded up our free 1 pound bag of mandarins and made my way to the bulk section to grab “black sprinkles.” Tomorrow’s breakfast will involve this protein filled seed, local Texas honey, organic greek yogurt and smiles. Author note: This recipe is easily doubled and tripled. Place the yogurt and chia seeds into a small bowl. Stir to combine. 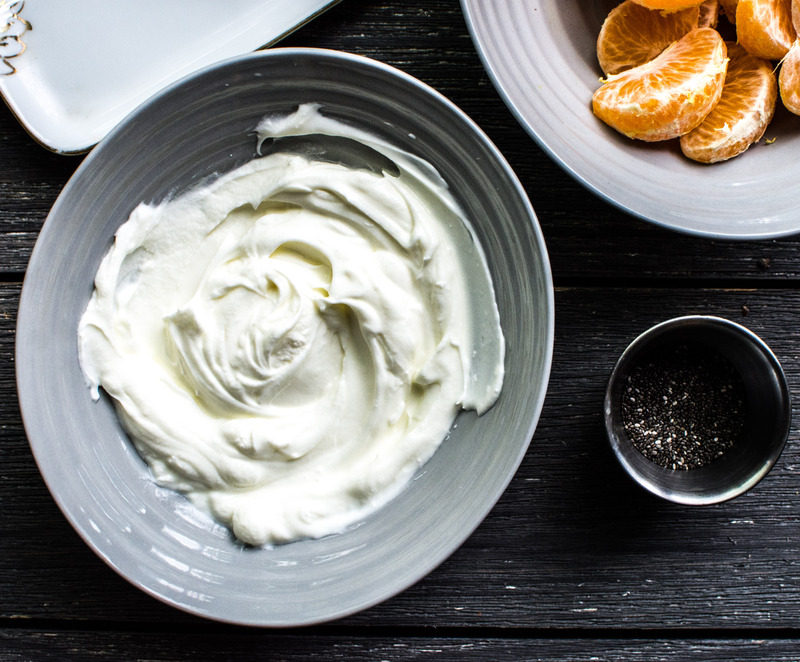 This entry was tagged A Pleasant Little Kitchen, chia seeds and yogurt, dallas food blog, dallas food blogger, greek yogurt and honey, greek yogurt and honey recipe, texas food blog, texas food blogger, what to make with chia seeds. Bookmark the permalink.